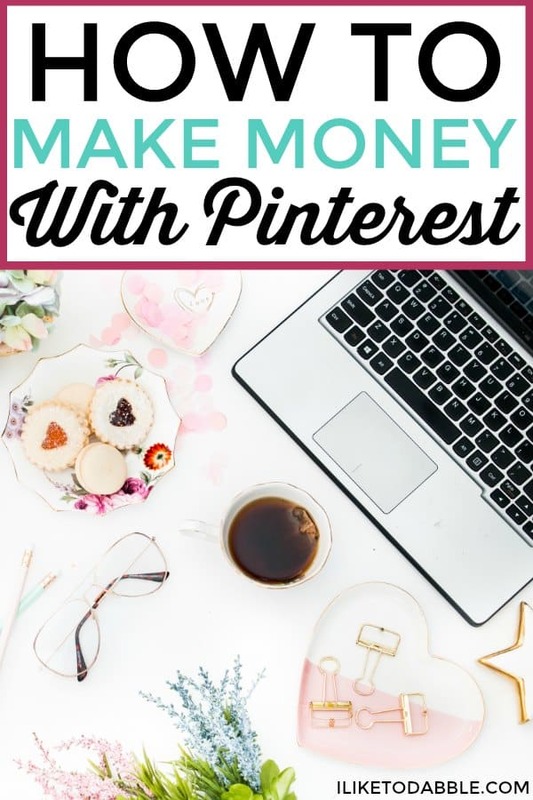 There are tons of ways to make money online, with your blog and even make money with Pinterest. I know that sounds like a stretch if you are a newbie blogger. Trust me, it is possible. After starting this blog 1 year ago, I now make over $1,000 per month using affiliate marketing and displaying ads. Some of that comes from affiliate links I use to make money with Pinterest. Since I had such a success using affiliate links on my blog, I thought I should start using them directly in my pins as well. The trick to make money with Pinterest is affiliate marketing. After just 1 week of implementing affiliate links directly into my pins, I found that you really can make money with Pinterest. If you are not yet familiar with affiliate marketing and how to use affiliate links, read up on it here. 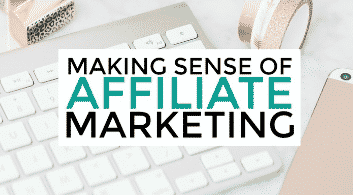 Most of my affiliate marketing success is because of an amazing course called Making Sense Of Affiliate Marketing by my favorite finance blogger Michelle. Michelle is the creator of makingsenseofcents.com and is a blogging superwoman. She quit her full-time job to run her own business and travel full time. 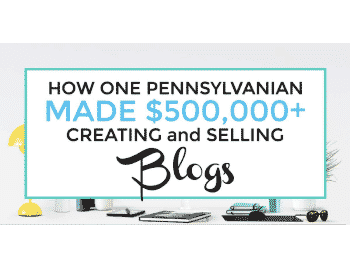 She makes $100,000+ monthly from her blogging business and a large part of that income comes from affiliate marketing. Michelle’s experience is unmatched in the blogging world, at least I think so, and thus her course content is unique. Making Sense Of Affiliate Marketing was 100% worth it and has already doubled my affiliate marketing earnings within only 2 weeks. But you don’t absolutely need a blog to make money with Pinterest. So how can you make money with Pinterest? It is pretty simple actually. So let’s get to it. Here is how I make money with Pinterest! 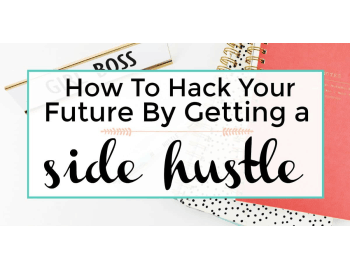 Let’s take it step-by-step with one of my recent pins with direct affiliate links implemented in it to show you how you can do the same. Looking for affiliate links to promote and having trouble? Check out this helpful list of 22+ affiliate programs and links for bloggers. Here is a recent pin of mine that I created to link directly to AWIN. AWIN stands for Affiliate Window, an affiliate network. You can sign up for tons of affiliate programs through AWIN such as Fiverr, Swagbucks, and Decluttr. There are tons of affiliate programs on AWIN that are niche specific as well. Since my niche is blogging and creative ways to save money and make money, those 3 I mentioned fit well into my niche. If you want more information on AWIN, check out this link and sign up today to start earning! Create your money making pin! First, make sure you are set up to use rich pins. If you have no idea what I am talking about, check out how to apply for and use rich pins. Next, create a vertical pin that is eye catching. You can do this easily using PicMonkey. I absolutely LOVE PicMonkey. If you want to try it out, click here for the free trial. After I created my pin, I added it to some relevant boards and group boards (the ones that allow it of course). I have a board labeled ‘Blogging 101’ which I pin many relevant posts to that are geared towards helping bloggers. 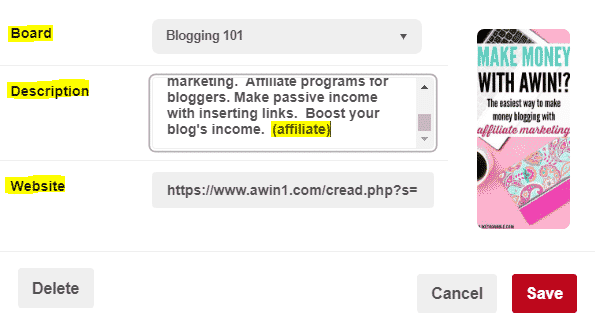 Since AWIN is very much geared towards helping bloggers monetize their blog, I added the pin there with the relevant affiliate link. Always disclose that the pin contains an affiliate link. You must always disclose in pins that contain affiliate links, that they are affiliates. I do this by putting (affiliate) in the description. Lastly, add the affiliate link to the ‘Website’ field, and you are good to go. Pin your heart out! Repin to other relevant boards and group boards. Put that pin to good use! Pin your heart out! Repin to other relevant boards and group boards. Don’t be spammy and always follow group board rules or you could be removed. Always follow the group board and the group board owner. If you do not know where to find group boards, check out pingroupie. I have recently created 2 group boards that you can request to join (if you are within the niche). Just follow the directions on each of these boards to be accepted and start pinning! Frugal and Thrifty Living Tips – Group board for frugal and thrifty living niches. Blogging 101– Group board for blogging niches. Remember, you must be following me on Pinterest in order to be added to these boards. Follow me here! Add the pin to any scheduling tools you have. I use Tailwind and Boardbooster to schedule my pins and engage in tailwind tribes. (Update: I no longer use BoardBooster because they are not an approved partner of Pinterest) Because of these tools, my traffic has skyrocketed! Check out how it all went down and how I spiked up from 300 to 3,000 page views in one day without me really doing anything! Now just sit back and wait. Always be sure to check in on the analytics feature in Pinterest, to see how your pin is doing. You can also check the affiliate site to check analytics on how your affiliate links are doing. In AWIN, click ‘Reports’ in your dashboard to view any stats you wish to see. I chose the ‘Advertiser Performance’ report for this month so far. Since we are only 1 week into this month, the stats look pretty good for my AWIN affiliate earnings from my recent Pin mentioned above. I have already made $30 dollars from a pin I created a week ago! Not too bad. Having trouble getting traffic to your pins and blog? I want to give a shout out to this amazing course, Pinteresting Strategies. When I first started out trying to grow my following and increase traffic from Pinterest, I felt lost in the sea of other bloggers. 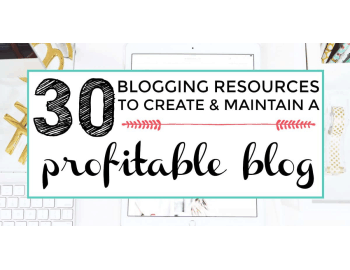 Then I found Amber’s Pinterest Pal’s Facebook group which then led me to her course Pinteresting Strategies. This course was a breath of fresh air as Amber’s lessons are easy to follow and implement with actionable steps that I saw results from in the same week. I went from under 1,000 followers before using Amber’s course to now over 6,000 followers (in under 1 year). I get about 60% of my overall traffic from Pinterest. Check out more about this course here. 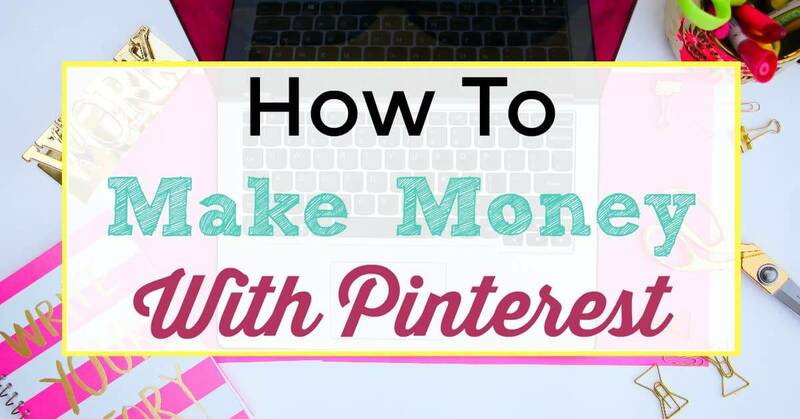 There are tons of different ways to make money with Pinterest! Try out adding direct affiliate links to products. You don’t have to only add pins with affiliate links to sites you have advertising relationships with. You can add pins of your favorite products or product roundups from Amazon. You can add Pins with pictures of you favorite best selling products that are relevant to your niche. Create boards that those pins would fit well into, and go crazy! So give it a whirl and see if you can make money with Pinterest! What other ways do you make money with Pinterest? I would love to hear from you!